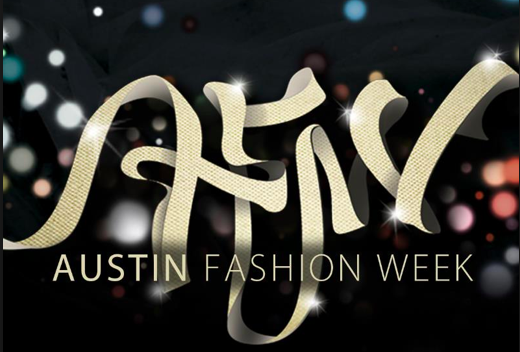 Austin Fashion Week wrapped with a bigger and, once again, better Austin Fashion Awards ceremony. The Austin Music Hall looked uncharacteristically classy with white-against-black classical allusions and -- necessary for this venue -- giant screens for those who could not see action easily. Emcee and radio personality Sandy McIlree landed some fine jokes, mostly at his own expense. That was classy. More than 40 mash-up teams of designer, stylists, photographers, models and other creative types competed to compose the most compelling images. The models also walked the runway -- good idea -- before the winners were announced: EON won Critics Choice while Vintage Deity copped the People's Choice. Wisely, the number of awards has decreased. Leaders put the emphasis on Rising Stars (Daniel Esquivel, Jennifer Martinson, Sandra Anton, Priscilla Barroso) and Trailblazers (Cheryl Conley Bemis, Kendra Scott, Lance Avery Morgan, Stephen Moser). Yet all awaited the four fashion collections from top local designers. Everyone knows my fascination with Boudoir Queen and the Smithville-based label's innovative use of vintage fabrics and silhouettes. With plays on early-20th-century fashion, the collection drips with rich fabrics and elaborate accessories. SoCo pioneer Gail Chovan contrasted that with jagged, stripped-down, layered looks in leather and textured fabrics. This was some serious stuff, as was the music and the pace of the walks. Austin's fashion miracle, Kendra Scott, whose jewelry is now available in more than 1,000 stores, applied her imagination to wrap-around, full-impact pieces, while utilizing many of the materials that make her work so accessible. Then there was Stephen Moser. What can I say? It was theater. It was religious ritual. It was wild. Somebody could really stage an opera around his horns, furs and magical fabrics, parlayed as if Andy Warhol staged Shakespeare's "A Midsummer Night's Dream." Couldn't top that. So they didn't. Time for the after-party.